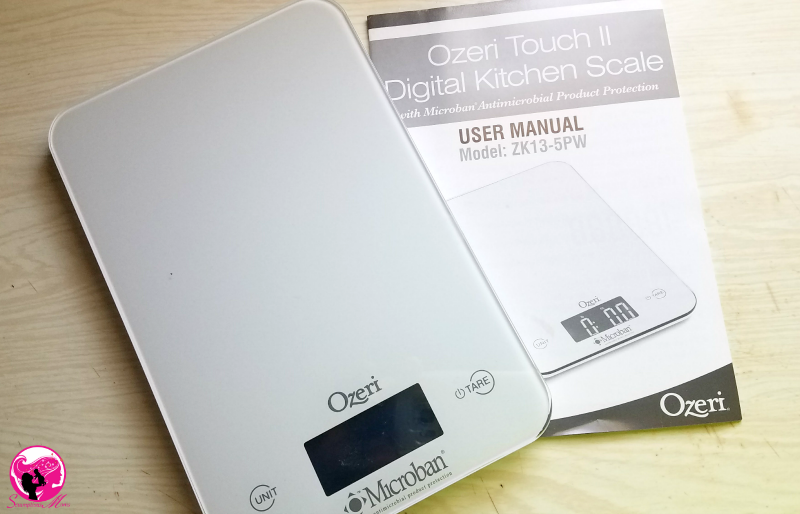 I recently received an Ozeri Touch II Digital Kitchen Scale to review and I absolutely love it! Every good cook knows the importance of a reliable, easy to use kitchen scale. Well, make that three now that I’ve added the Ozeri Touch II Digital Kitchen Scale to my collection. Until this past July my scales would generally only come out when I am baking. This past summer I started tracking my macros for the first time when I joined the FASTer Way to Fat Loss created by Amanda Tress. Although I have a fairly good sense of portion size I felt it was best to be acurate when tracking macros. 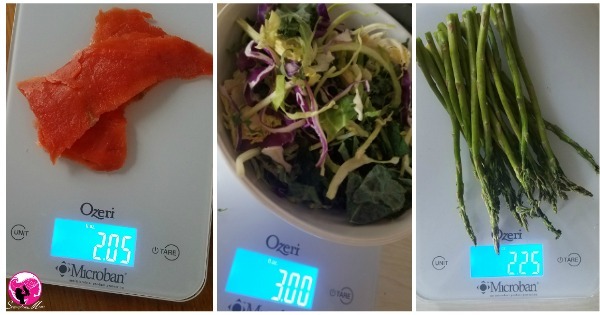 My Ozeri Scale was the perfect tool for the job! I love the sleek, slim design of the Ozeri Touch II Digital scale! It also comes in a variety of colors to match your kitchen decor. The slim design makes it super easy to store. I keep mine in a drawer with my dish towels for easy access. I love the large surface area of this scale! It makes measuring my food so much easier than with my other two scales that are much smaller. Whether I place the food directly on the scale or in a bowl there’s plenty of room for all my food to be directly on the scale so I know me measurements are accurate. No squinting with to read your scale! The Blue LCD display is easy to read. One of my other scale has the old fashioned line measurements with the needle that stops on the right line. Those lines are not nearly as accurate an can be hard to read, especially since the container that holds the food sits on top so I have to get close to read it. It took me a little while to get the hang of using this function. I initially got a little frustrated as I would touch the ‘Tare” button and get all sorts of crazy numbers on my display rather than the 0.00 I was looking for. The important thing is to touch and hold the button for a split second after placing your bowl on the scale, then give it a second or two deduct the weight of the bowl. 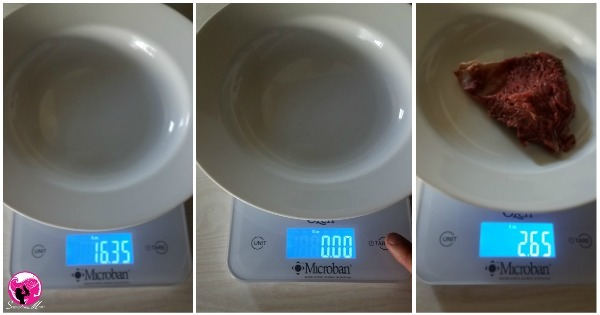 It’s also important to always place the scale on a flat surface and gently put the bowl on the scale. My favorite desserts recipes are in French which means measurements are in grams. I love how easily I can switch from one unit to the other with a simple touch of the Unit button. Press and hold for a split second to change from ounces to grams or vice versa. I wipe my scale with a dry clean cloth after use. 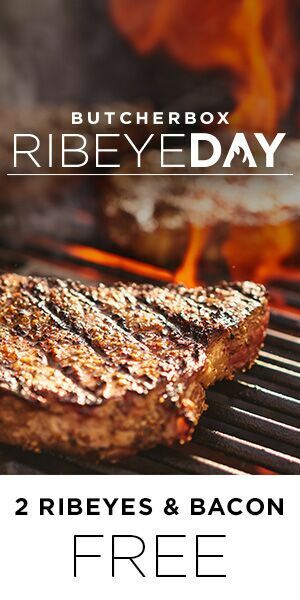 If I placed fish or meat directly on the scale I use a tiny bit of dish washing soap on the cloth and that’s it. All in all I absolutely love the Ozeri Touch II Digital Kitchen Scale which has now become the only scale I use. Thanks for this review. I am trying to lose weight and have been looking for a good scale to weigh my food and now I’ve finally found one. 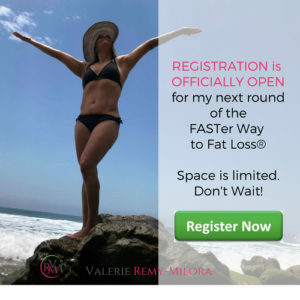 You are most welcome Deborah and good luck on your weight loss journey!! Such a convenient item for portion control and baking!! I really need one for my kitchen! I love this scale Amber! I needed a new scale! Thanks for the review!